Generations of Leafs fans have grown up not knowing what it's like to see this team win a Stanley Cup. Now, the city is in a frenzy as fans prepare for the most anticipated season in franchise history. There is no doubt about it, this is a good time to be a fan of the Toronto Maple Leafs. All indicators point to this team being on the verge of something very, very big. "I've never seen so much promise, I get goosebumps talking about it," said Sean Nash, a 47-year-old Leaf fan. Nash was born in 1971, four years after the Leafs won their last Stanley Cup. He says he comes from a long line of Leaf fans. 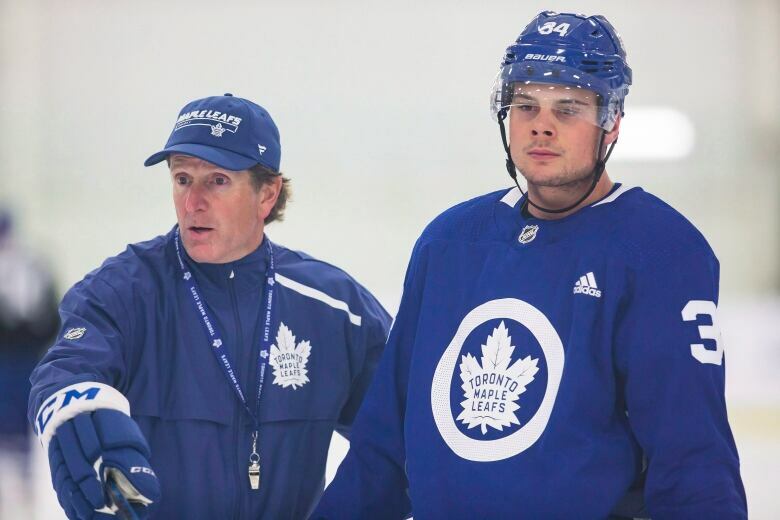 He grew up hearing stories from his father and grandfather about the glory days of the Leafs, back when the team was winning championships. "My dad tells me all the time about how he got to see it," Nash said. "My grandfather actually helped build Maple Leaf Gardens back in the day. He was a bricklayer." Nash's grandfather would go on to watch the Leafs win 11 Stanley Cups while calling Maple Leaf Gardens home. In Nash's lifetime, there has been very little Leaf glory, and he has certainly not had as many great stories to pass on to his own children. "I keep telling my kids, they'll be lucky to see it in their lifetime." Since the Leafs last Stanley Cup win in 1967, this franchise has gone through some very lean years. They've missed the playoffs 21 times. In the years they did make it to the postseason, they were knocked out in the first round 15 times. They've also not been back to the Stanley Cup final since 1967. "How much lower can we go, we've hit rock bottom so many times," said Nash. For long-suffering Leaf fans like Nash, the payoff for their patience may be coming sooner rather than later. "We know that the best foot is being put forward by our organization," Leaf historian Mike Wilson said. Wilson earned the title of 'Ultimate Leaf Fan' for having one of the most incredible collections of Leafs memorabilia. He's also old enough to remember watching the Leafs win four Stanley Cups during the 1960s. Wilson says one of the biggest differences between then and now, is the fact that generations of Leafs fans have grown up not knowing what it's like to see this team win a Stanley Cup. The fact that the team has been so bad in the decades since their last cup, only serves to heighten anticipation for fans now that the team is considered the favourite to win it all this year, according to Vegas odds. "Expectations and the excitement and passion around this team is probably the highest level in franchise history," Wilson said. "You've never seen anything like it." 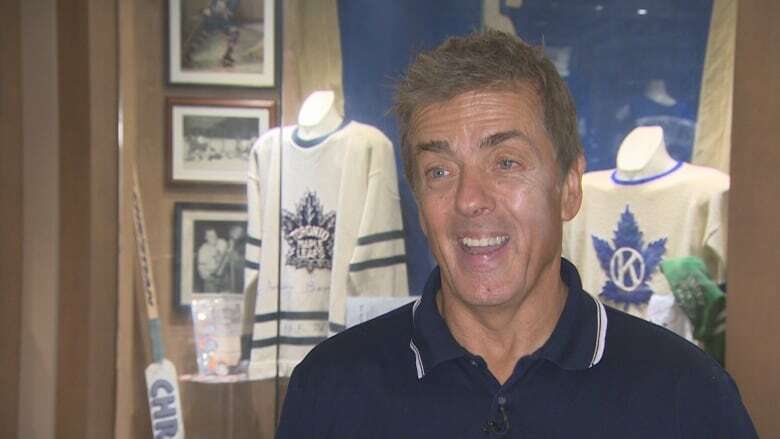 Anyone who has spent even a millisecond in Toronto knows that fans of the Maple Leafs are always excited about their teams, but this year Wilson says that excitement is warranted. In 2014 the Leafs hired Brendan Shanahan to be the team president. Wilson says that's when the teams fortunes started to turn. The following year Shanahan hired one of the most sought after coaches in the NHL, luring Mike Babcock away from the Detroit Red Wings. In 2016 the Leafs used the first overall pick in the NHL draft to select Auston Matthews. Fast forward to this summer, when the Leafs landed John Tavares, the biggest free agent signing in franchise history. That was July 1. Since then this city has been in a frenzy, as fans prepare for the most anticipated season in franchise history. One big challenge still lies ahead though, now they have to go out and actually win. "We have a team now that looks terrific on paper," Wilson said. "The players still have to execute, and it's not going to be easy."